I've been looking forward to this much welcomed legit release of the first (of two) CD reissues by EMTIDI - an obscure German duo, made up of Maik Hirschfeldt - 7 and 12 string acoustic guitar, flute & vocals and Dolly Holmes - 6 string acoustic guitar, kazoo, bouzouki & vocals. This self-titled gem was originally released in 1970 and is about as good as their follow-up album - 1972's 'Saat'. 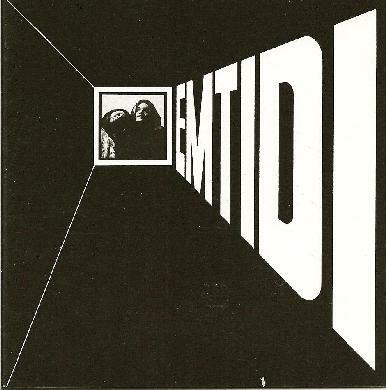 I've had a couple of krautrock fans inquire about EMTIDI and all I could tell you is that these two player's work would best be described as 'eclectic folk'. Personally, I was getting something good from every track here - like the peace-and-love vibe of "Looking For People", "Shadow On Your Face" (sort of reminded me of like maybe a folk version of Hawkwind's "Paranoia"), the beautifully played "Long Long Journey", the awesome "No Turn Back" - where Dolly Holmes plays a kazoo and the more traditional folk-like "Space Age". The duo's obvious musical influences are Bob Dylan and Donovan. As for the rest of this CD import, I also allowed my mind to thoroughly absorb the acoustic jamming of "Yvonne's Dream" and "Birds On A Graveyard" as well as the almost Gong-like seven minute "Flutepiece" which employs some fantastic 12 and 6 - string acoustic guitar and brilliant flute work. Should appeal to fans of Incredible String Band, Pentangle, Renaissance and possibly Fairport Convention. Again, like most other Garden Of Delight titles, EMTIDI comes with a thick informative CD booklet packed with liner notes, band discography and album artwork. A must-have.